LiveGrade Pro 3 supports the display and capturing of live HD-SDI signals. With this feature and the proper video capturing hardware you can watch the live video signal on your computer monitor. How to use the image viewer to compare different image sources is explained in the article Image viewer. 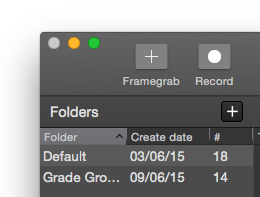 Once the setup is complete, it is possible to record clips on the HDD or grab frames for grading reference. How to properly setup your HD-SDI viewing environment with LiveGrade is described in the article HD-SDI setup for LiveGrade. 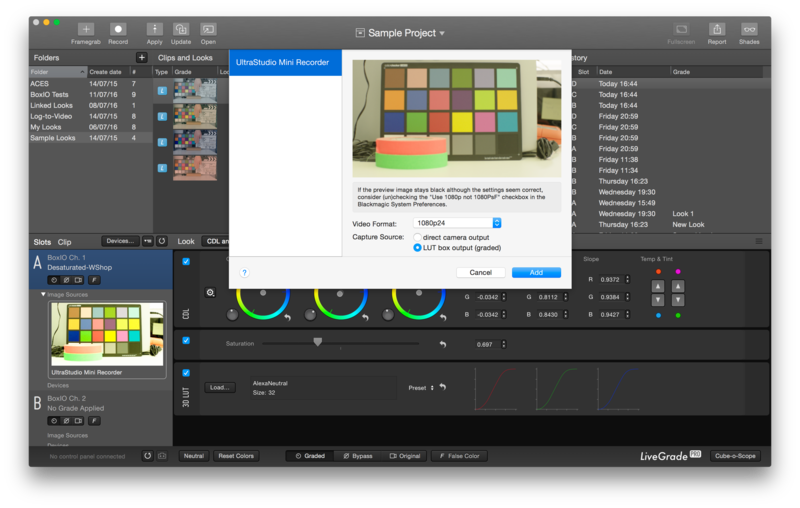 All listed capture devices similarly support ANC metadata coming from the SDI stream in LiveGrade Pro 4. For a list of compatible devices for HD-SDI output in LiveGrade Pro 3 and 4 please see the article Image View Output to HD-SDI in LiveGrade Pro. Ultrastudio HD Mini and Ultrastudio 4K: Simultaneous capture and playback of 1 SDI signal. Does not support capture of multiple image streams at the same time. Ultrastudio Express: Only one channel for capture OR playback. When used as capture device the SDI out only loops the input signal. Direct camera output: This setting is needed if you capture the original camera signal without prior look-up in LiveGrade (often a logarithmic signal). 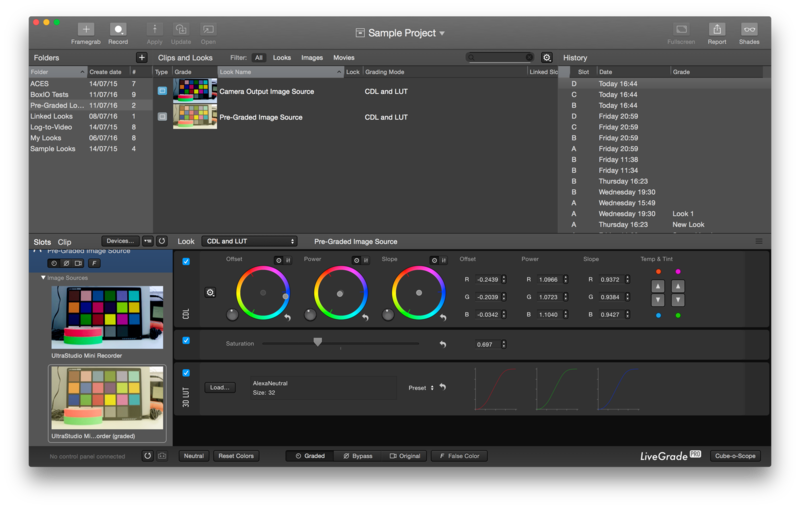 LUT box output (graded): This setting is needed if you capture an already graded (pre-graded) signal in LiveGrade. In case that a black image is displayed, please check that the video input format is correctly set on the Blackmagic Desktop Video Manager. Additionally, you can check that the «Use PsF» check box is unmarked. Once you click on «Open Stream», the stream will be associated to a grading slot. The grade applied to that particular slot will be the one applied to the live video stream. Any modification of the grade will be immediately shown on the live video stream. Now that the video signal is being fed into the computer, you can use LiveGrade to record clips or create frame grabs for future reference. Both recordings and frame grabs are saved as the original image source. However, they are saved in the library with their look associated. This way the look will be applied during playback of the clips and frame grabs. To start a recording click on the «Record» button on the top left of the UI (figure 2). This action will start to record the video feed on the computer HDD, under the folder /User/Movies/LiveGrade Recordings. 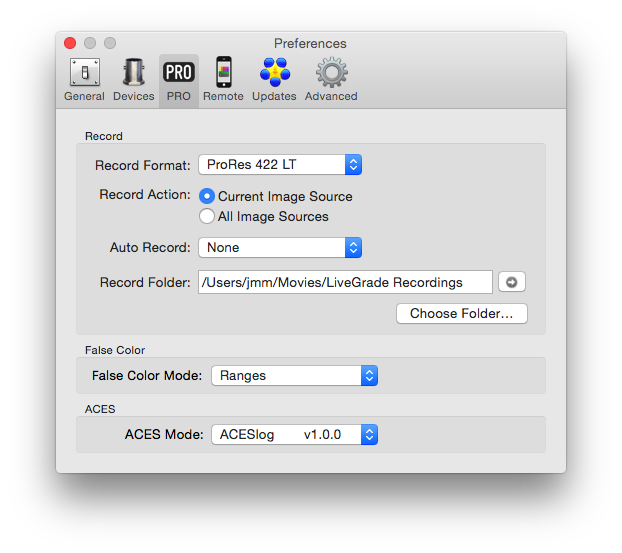 The clip recordings folder can be modified on the Preferences>General menu. Pre-graded image sources have special characteristics. A grey “Type” icon in the look library will appear to mark a frame grab from a pre-graded image source. 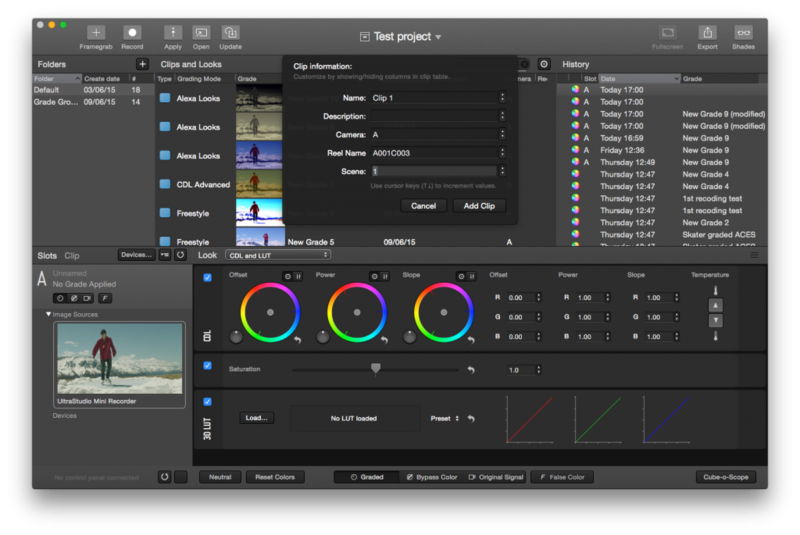 The look of pre-graded frame grabs in the look library can not be updated as there is no original signal available. To update the framegrab and the grade of a Look/Still in the library use the Main Menu entry under “Project > Update selected Look and Replace Image” or alternatively use the shortcut Cmd + Shift + U. This will update still image and grade of the Still in the Library. Please see the article Create Clips, Stills and Looks for more information about updating Looks and Replacing Still Images. Please be aware of other special characteristics throughout LiveGrade Pro (e.g. in Clips mode) based on frame grabs from pre-graded image source that due to there origin cannot change the look of their associated still image. Current image source: only records the live video signal from the selected slot. All image sources: records all the available live signals. Auto Record: when enabled, LiveGrade listens for a record flag on the SDI that is sent by the camera and starts a recording in LiveGrade automatically. Record folder: you can choose the destination folder where the clips and frame grabs are saved.